At the Lock Guy keeping your family and most important assets protected is our number one priority. We offer a wide range of locking solutions for your home using the highest quality and most innovative products available. With our extensive product knowledge and over 30 years experience, we can easily design a security solution that meets your needs. At The Lock Guy, we are focused on creating and maintaining customer loyalty by providing you with a high quality, friendly and professional service as a leading residential locksmith through Melbourne. Front fences ought to be of an open-style construction to increase visibility onto the residential or commercial property. Think about using self-closing gates and locksets. Fences and gates should frequently be maintained to maximise their effectiveness and ensure their excellent working order. Security lighting should be set up around the border of the home to supply more reliable illumination throughout the hours of darkness. Security lighting should be inspected and preserved in good working order. Extra security lighting should be installed, particularly over entry/exit points. Think about using light timers to turn lights on/off when not in your home. Timer globes are also readily available. The letterbox should be fitted with an ideal lock set to restrict access to mail. The power board should be housed within a cabinet to restrict tampering with the power supply. The box/board ought to be protected with a lock set authorised by your electrical energy authority or security professional. The garage should be locked to restrict access and to prevent theft. Roller, tilt and panel lift doors can be protected with additional lock sets suitable for garages and padlocks. Garden sheds ought to also be fitted with an ideal lock set, once again to limit access and to prevent theft. Windows in garages and garden sheds should also be fitted with quality lock sets to restrict access. Doors should be fitted with quality deadlock sets, which abide by the Australia/New Zealand Standards and Fire Regulations (Australian Building Code) to make it possible for residents to get away in emergency circumstances such as fires. Consider having a peephole set up in the door to keep track of individuals at the door. Locks need to be examined and regularly maintained to ensure they are in good working order. Keys should be removed from locks while you are not there to prevent burglars from getting in or leaving your house. Security/screen doors can be used to provide extra protection. 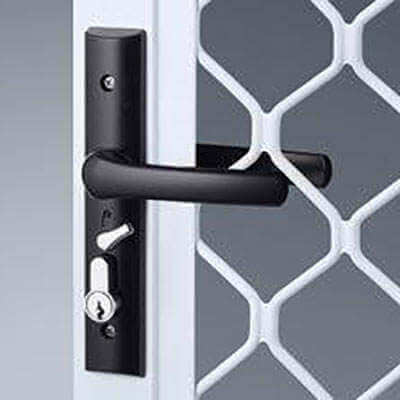 Security/screen doors need to be designed and set up to the Australian Standards. Another factor to consider should be to the installation of patio area bolts on sliding doors. Under-house access point should be secured. Window frames should be anchored to the building to prevent simple removal. It is recommended that all windows should be fitted with quality key-operated lock sets and kept locked when not in usage. Some designs of windows can be locked in a partial way. Additional recommendations on this item can be acquired from your insurance provider or a locksmith professional. If you have skylights to your home, keep them suitably secured. More information on locksets can be acquired from Standards Australia, Phone 1300 654 646. Glass within doors and windows may also be strengthened to restrict unauthorised access to these locations. Metal security shutters can be installed to restrict access and reduce attacks. For the included security of belongings such as jewellery, money and files, consider installing a safe. The safe must be well hidden, fixed to the floor or embedded in foundations. This can secure your personal belongings from being taken. The safe must not be left open at any time. The secret to the safe should be hidden out of sight in a different room. The safe must be produced and set up to the Australian and New Zealand Standards. At The Lock Guy, we are a dedicated team of security professionals that can assist you in the secure locking up of your property. Often a requirement of insurance companies is the fitting of deadlocks and window locks on all doors and windows. Some of the brands we use are Lockwood, Brava, Whitco and Gainsborough and they come in a range of colours to suit your home. We can provide you with many types of locks to assist for your doors, windows, sheds and even your manhole. If you have a lock that you can no longer find the key for The Lock Guy can easily pick open the lock and provide you with a new key to suit. 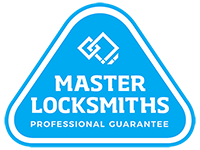 The Lock Guy can assist in supplying you with either Single or Double Sided Deadlocks, Deadlatches and Deadbolts to suit all of your door needs. These high-security locks are considered essential for securing your home or property from unwanted visitors and are often an insurance requirement when taking out a new policy. Common brands used are Lockwood, Brava, and Gainsborough to name a few who come in a multitude of colours and finishes. Deadlocks can be fitted to a wide range of doors including inward and outward opening doors, sliding doors, double or French doors, single doors, aluminium doors, glass doors and wooden or steel doors and at varying heights to suit your requirements. Deadlocks can be keyed alike, so one key works all and are often recoded after moving into a new home to assure you know exactly who has keys to your property. Window Locks are another addition to add your home security alongside Deadlocks for the effective safety of your possessions and property. Now an Insurance requirement by most companies. The Lock Guy can secure all of your windows by the fitting of appropriate locks to your timber or aluminium windows using sliding window locks, casement window locks, multi bolts and lockable window winders. Also if you have an evaporative cooling system and your windows need to be left in an open position to allow for ventilation, The Lock Guy can install window locks to windows to be secured at a 100mm opening only, this allows for ample airflow through windows but is not a wide enough gap for intruders to enter. 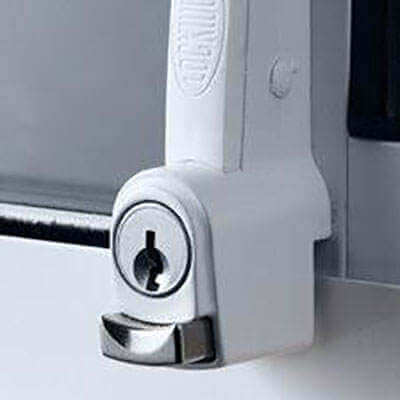 Window locks can also be keyed to your front door key for ease of use. Depending on your requirements The Lock Guy can offer a wide variety of Padlocks in many shapes, sizes and finishes. We have padlocks to suit Padbolts on gates with a high shoulder on the body to protect the shackle. The locking of your garage or shed can easily be achieved by using a Padlock from our Abus range which is suitable for all weather conditions. Abus Padlocks are designed and manufactured in Germany with extreme conditions in mind and can be keyed alike to your common door key. Other uses for your domestic padlock and chain applications would include the locking of trailers, boats, caravans, motorbikes and of course the tradesman lockable toolboxes on work vehicles. One of the most common questions we get asked as locksmiths is "Can we change the combination of our locks or do we need to replace them altogether?" It is always a more cost-effective option to recode locks or rekey locks where possible this allows for the barrel to have its combination changed, serviced and lubed and reinstalled back into your lock. Another common question is "Are my locks single or double cylinder locks?" 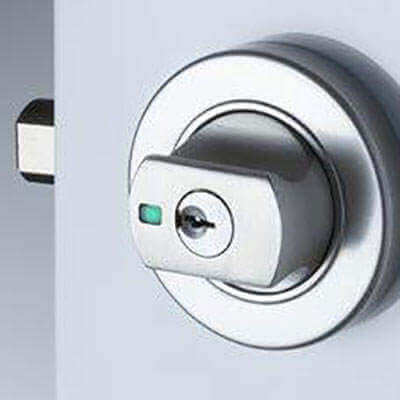 Single cylinder locks work with a key on the outside only and have a turnsnib or push button on the inside. Double cylinder locks are defined by a key operated action on both the inside and outside of your door. In most cases, we can key all your door locks and even window locks alike. Common reasons for changing your locks to a new key are moving into a new home, change of tenants, lost or stolen keys and the lightening of your key ring. Common reasons for a locksmith call out is often a customers door lock is not working as it once did. The Lock Guy can in most cases, where there are good quality locks already installed on your door, repair or service these locks. This can include the realignment of your lock due to door and frame movement or replace parts within your lock including springs and screws. Worn or incorrectly cut keys are also factors of an incorrect lock function. Our fully qualified team at this time can also advise on any other lock or security issues you may be having. At The Lock Guy, we offer a free security survey and quotation On Site. Security Doors are a must in aiding the prevention of theft from your home and also offer a secure way to greet a knock at the front door for your loved ones. Issues with Security Doors can include worn locks, die cast handles breaking and strike alignment. 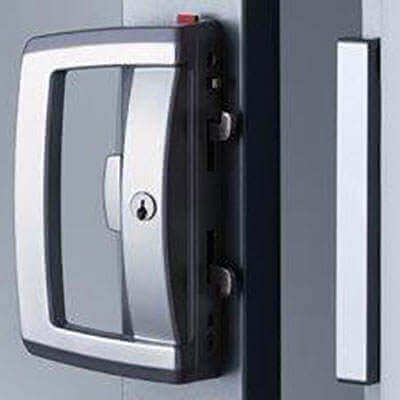 If alignment is not accurate, most security door locks will not lock effectively. The team at The Lock Guy can assess your Security Door and offer an on the spot solution in one of our fully mobile workshops. We can replace your handle set, security door cylinder, recut worn keys or just simply service and realign your door. Safes in a domestic situation are no longer a luxury, but a necessity and are ideal for the safe keeping of jewellery, documents or cash. The Lock Guy can offer you assistance in choosing a safe to meet your requirements taking into account size of safe and location it is to be fitted, fire rating, cash holding limit and whether you would like a push button digital, combination or finger print reader opening. CCTV Cameras are now becoming more popular around homes across Melbourne to effectively help in monitoring the safety of your loved ones and securing possessions and vehicles. After completing a home survey the qualified team at The Lock Guy can recommended a system that will best suit your needs and budget whether it be a simple wireless solution or hard wired and monitored system with access from your mobile phone. Call and speak to a professional today. Keeping children and pets safe in around your pool is a requirement by law. The Lock Guy can assist you in meeting Pool Regulations with the fitting of latch style locks at 1500mm high on all doors and windows opening onto your pool area and operated with a self closing device.